The realm of audio is constantly changing with more and more companies looking to create products with Hi-Fi audio. So it’s no surprise that gaming headsets are jumping in as well. 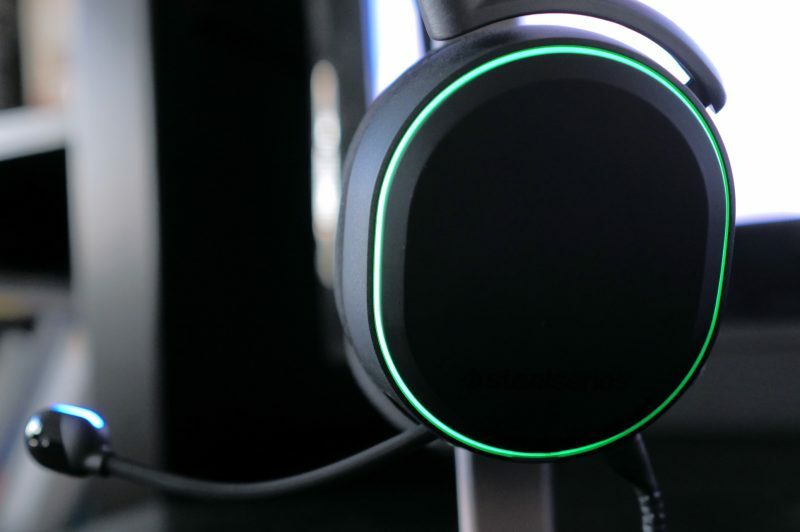 Enter SteelSeries, a premier gaming headset company that’s released its own set of gaming cans with Hi-Fi audio goodness. The new Arctic Pro headset with GameDAC is the newest flagship for this Danish Company. With the Arctis Pro, SteelSeries has decided to keep the same design as its predecessor, the Arctis 7, where it truly embraces the mantra, “If it ain’t broke, don’t fix it.” The headband of the Arctis Pro is built from a single piece of steel and aluminum alloy to provide a headset that’s not only flexible but also highly durable. To add a new layer of comfort, the headset also incorporates a single piece of woven ski goggle fabric to give the user a nice feeling of suspension around their head. The ear cups have an oval design that encompasses your entire ear to help boost the sound around all while reducing the amount of pressure that’s placed on it by the headset. They also feature a breathable mesh that allows for air to flow, limiting the amount of sweat that can build up during long periods of gaming. The ear cup housing has a nice durable feel with the SteelSeries logo embellished on both sides. They are also lined with an LED strip that provides a pop of color when your headset is in use. On the left ear, you’ll find your connection ports, a volume rocker, a mute button, and the microphone. The great thing about the microphone is that it’s flexible as well as retractable, which gives you the ease to use the headset with or without the microphone. The microphone as well has a built-in accent LED light. When it comes to the game DAC, the build quality is the same as the headset. It carries a nice sleek and minimalistic look and is not inundated with a lot of buttons. 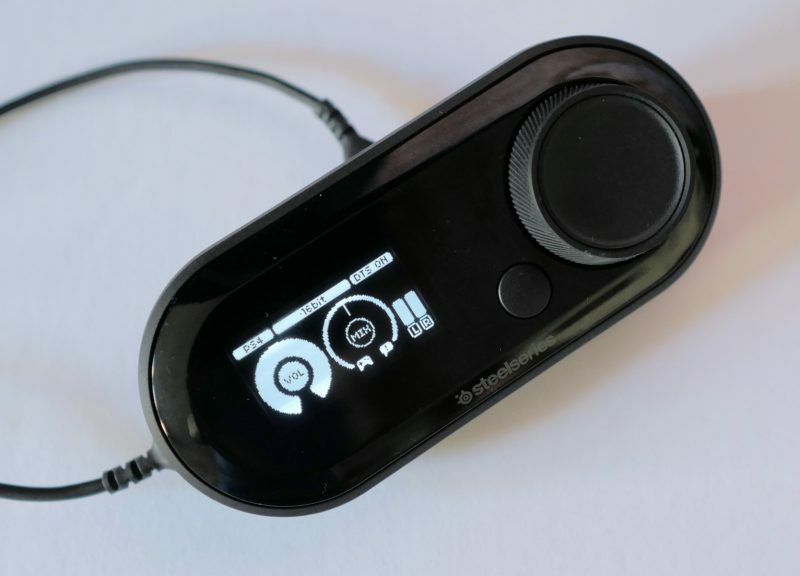 The game DAC has two controls, one button, and one fairly big dial. The limited amount of controls lets you quickly and easily access the game DAC settings so you can get immediately get back to your gaming. The game DAC screen displays the settings and functions with bright, clear, and bold lettering so you won’t have any real visibility concerns when trying to access them. The sound produced by the Arctis Pro headset definitely receives a big thumbs up. While using the headset during gameplay, the sound effects of gunfire, explosions, and objects breaking felt very authentic. When certain objects needed to have that punchy sound, you definitely felt it. And that’s because of the premium drivers that are combined with high-density neodymium magnets. One thing I noticed while using the headset during gameplay was that I was able to easily discern which direction things were coming from, which really gave me the upper hand against my opponents. While listening to music, I was able to really gauge the sound performance, and overall the highs, mids, and lows sounded even and balanced. While on a flat EQ profile, the lows weren’t too overbearing where it begins to drown out the rest of the sound. At high volumes, I didn’t notice any distortion or clipping with the audio. So if you’re one of those people who like to listen to your music at high volumes, then you’ll be pleased with the sound that’s pumped out. All in all the Arctis Pro really impressed me while I was using it the last few weeks. The sleek design accompanied by the LED accent lights makes it a very attractive headset. It’s durable and comfortable and produces an amazing sound which is of high importance when you take your gaming seriously. The added mute button on the headset was easy to find if I needed to use it during gameplay. One downfall for the headset’s design was the volume rocker. At times I would accidentally hit it while playing, which would turn my volume down. With the added game DAC, it gives you the freedom to tweak and customize your sound to your desired preference. There are some profiles built in that include Bass Boost, Flat, and Reference. You can turn on or off the sidetone in the microphone as well as adjust the audio volume, either more to the game sound or your chat audio. And of course, no headset would be complete if it didn’t give you the option to turn on or off the DTS. But honestly, that should always remain on. The Steel Series Arctis Pro+gameDAC comes in at a pretty high price tag of $249.99. So If you’re a casual gamer, this might be a little steep for you. 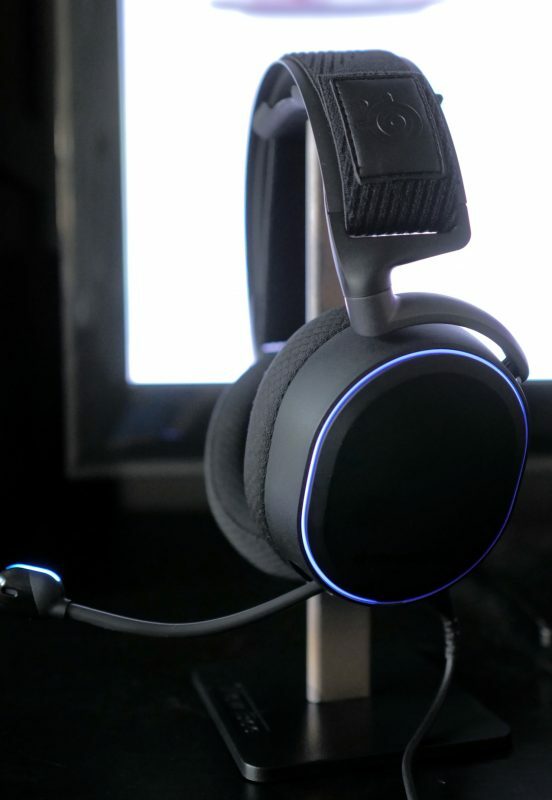 But if you’re looking to round out your intense gaming with a headset that will give you the sound and performance that you’re looking for, then I would highly recommend Steel Series new high-quality gaming headset. 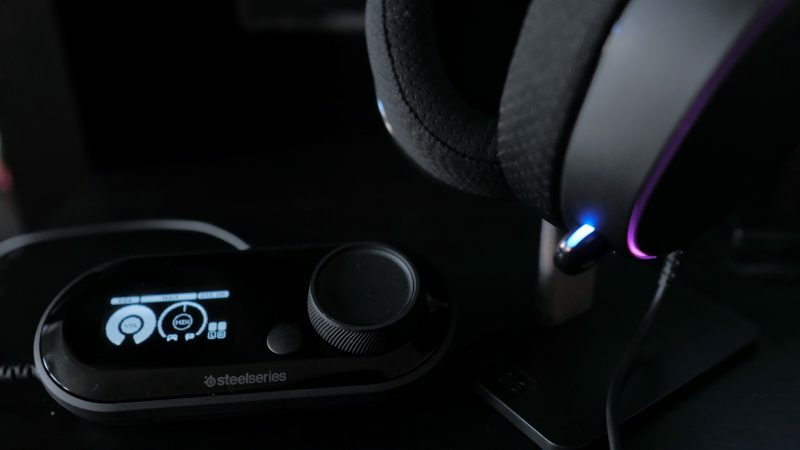 The post SteelSeries Arctis Pro+Game DAC review appeared first on Nerd Reactor.